Your business depends on tools and equipment that keep up with your constant on-the-go pace. To maintain and grow, it’s important to ensure that your equipment investments are hard at work along with you while allowing more freedom with your business finances. 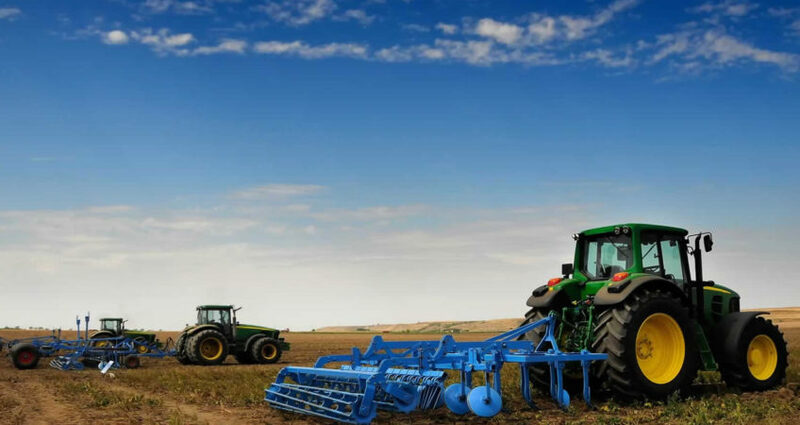 At Agrow, we finance equipment and machinery such as tractors, combines, hay balers, trailers, shredders, pivots, etc. We can make loans on new or used equipment/machinery. Valid states for equipment and machinery loans include Texas, New Mexico, Louisiana & Mississippi. If outside of these territories, please contact Agrow prior to filing out an application. The equipment/machinery being purchased or refinanced will serve as collateral for the loan (however, additional collateral may be required). Collateral value is based upon appraised value or cost, whichever is less. For new equipment/machinery there is an 80% max loan amount and for used equipment/machinery there is a 75% max loan amount. Please note that equipment inspections/appraisals will be made at the outset of the lending relationship and every 2-3 years thereafter as long as the loan remains. Contact us today to get started on improving your cash flow & business with an equipment loan!